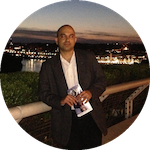 Summer is almost here and so are the long sunny days of hot outdoor weather, bright days and warm nights with the gentle summer breeze, and its about time to start planning our summer events. For many beer lovers it wouldn't be a fun summer without an afternoon of enjoying a chilled beer under the shaded canopy of a beer garden with friends and others that love the spirit of summer and a nice cold beer. As part of our summer outdoor events we have planned a few afternoons at different beer gardens across DC, Maryland and Virginia. For our first event we have selected a beer garden in DC known to be a fun, friendly, neighborhood place. Garden District located on 14th street in Washington DC is a celebration of the backyard barbecue traditions of our American culture and an acknowledgement to the biergartens of Bavaria. 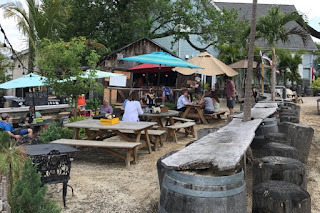 At garden district guests can choose from a variety of delicious beers and beer snacks including BBQ sandwiches and Southern sides like hush puppies and fries under the shade of the garden umbrellas on a nice hot summer afternoon. 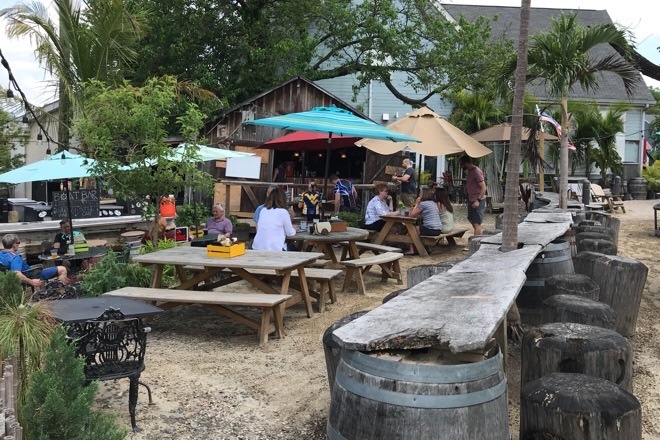 We will enjoy a couple of hours at garden district sampling their different beers before taking a pleasant walk to the Meridian Hill Park located less than a mile from the beer garden. 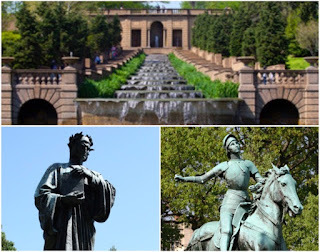 Meridian Hill Park also known as the Malcolm X Park, is reminiscent of an European chateau styled garden, with its cascading fountains, elaborate landscapes and historic statues. 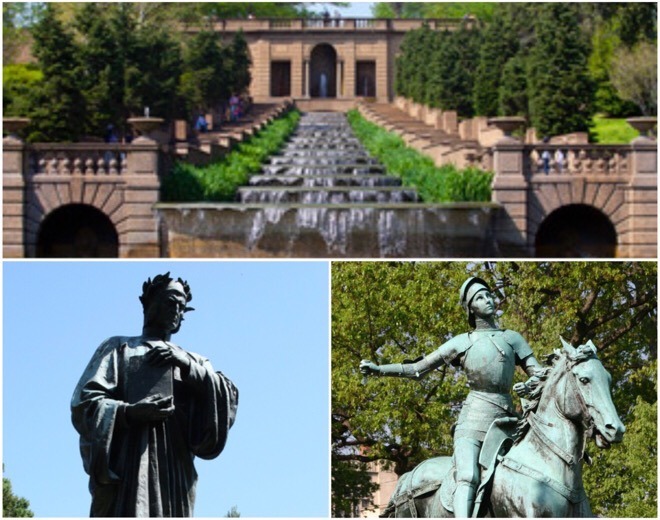 Filled with terraced, cascading fountains in an Italian Renaissance style and lined with statues, oak trees, and benches, the park has an open space designed for gatherings. Two other highlights are the statues of Joan of Arc and Italian poet Dante Alighieri. The park is also known for its drum circle on Sunday afternoons, that gradually forms on the southern end of the upper section starting around 3pm, with a beautiful panoramic view of downtown. 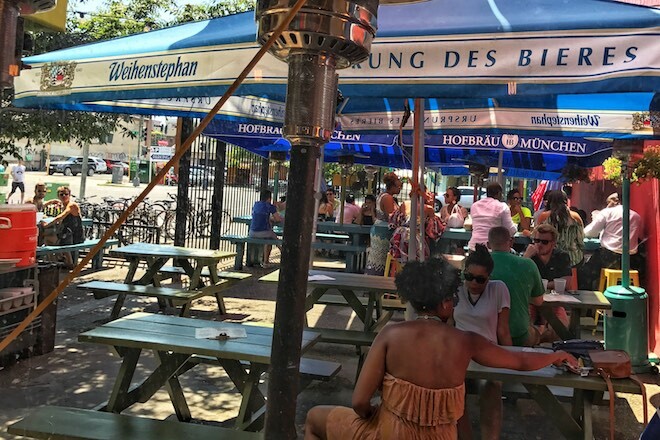 Description: A Sunday afternoon plan for enjoying a chilled beer under the shaded canopy of a beer garden with friends and others that love the spirit of summer and a nice cold beer.